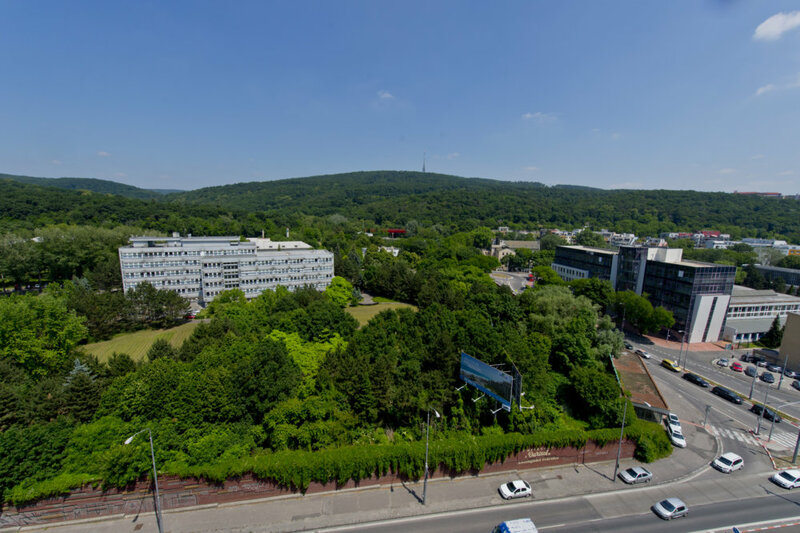 Software company Eset has won the auction to buy land for its future R&D Campus, the premises of the former military hospital in Bratislava, Patrónka. For the premises under the Ministry of the Interior, Eset offered EUR 26.2 million. Eset wants to build his new headquarters with a development center with an IT startup incubator and IT lab for laboratories. The information on the outcome of the auction was confirmed by the Minister of Foreign Affairs Ivan Netík. The non-public auction began on Thursday at 10:00. It was starting at EUR 24.21 million. The minimum amount that could be attributed was 10,000 euros. The most frequent participants have been making this amount. The auction was attended by all three bidders who bid for the fourth round of the competition. The Ministry of the Fourth Round subsequently extended the non-public auction. He met Eset’s request, which publicly stated that he had a great interest in the area and is willing to offer a higher amount than was the highest offer in the fourth round. Forespo Reality 10 has been linked to the J & T financial group (bid for more than 24 million euros). The result of the auction is the price of about 2 million euros higher. Besides Eset and Forespo Reality 10, the auction was also attended by Forest Hill Company by entrepreneur František Hodorovský. Each of the companies could have an auction of two of their representatives. According to our information, Peter Korbačka from the J & T financial group also participated. The winner has to officially confirm the auction within 15 days. Eset had earlier confirmed to the journalist that after opening the envelopes of the fourth round of the competition he initiated a meeting with Interior Minister Robert Kaliňák (Smer). At the meeting, they presented him with the initial study of his project and declared they were willing to offer a higher price than the highest one in the fourth round. Kaliňák promised to consider the offer of Eset. The Ministry subsequently decided on the auction. “Yes, it is true that we want to build a development center there,” spokeswoman Eset Zuzana Hošalová said. They want to wait until the ministry officially sends the auction result. Then they will announce an architectural competition, which will also be attended by the A11 studio, which produced the first sketch of their new home. Eset estimated that the cost of a new development center for 1400 people would exceed 100 million euros. He predicts that the new center will take about 5 years at the earliest. The ministry wants to use the money from the sale of the Patronka site to expand the hospital in the city center and to purchase a medical facility.